This Product contains liquid care,after using the hair more light, nutrients more easily and quickly reach the deep hair from the inside out deep precision hair repair. Save severely damaged hair,improve hair dry,edgy,fragile,easily broken,the hair from the inside to the outside to get a perfect repair,keeping hair soft and docile,smoothe and tough as ever. Not applicable tenunous elastic,porous water easily expandable ,easily broken,easily to bleaching or perming hair effect is not lasting. then wash hair,start normal perm procedures. 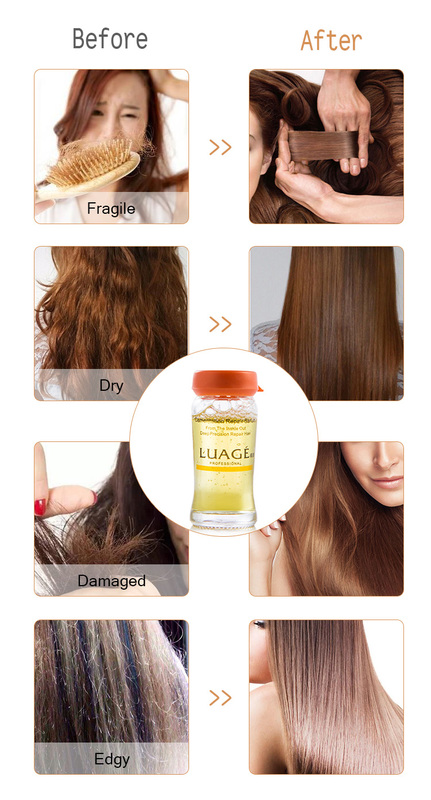 Take a bottle of essence ,add 58-80ml into hair care products such as conditioner or hair mask,apply as usual.